SEO helps the right people—ideal prospects, clients, employees and job seekers find your website. 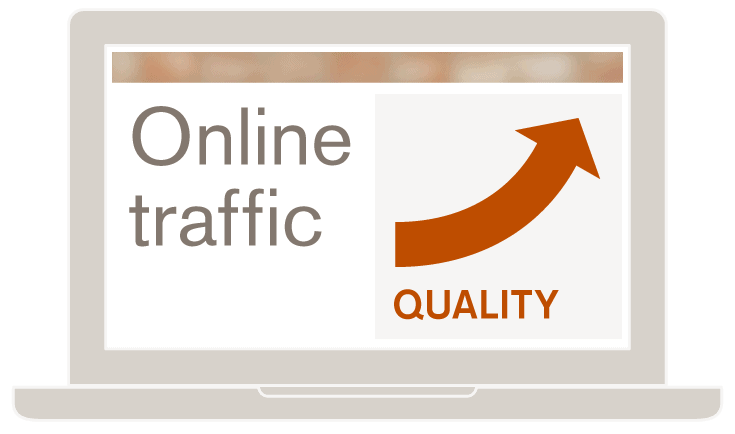 When practiced actively and strategically, search engine optimization drives more—and better quality—traffic to your website. Leads that come in from SEO have a 14.6 percent close rate, compared with a 1.7 percent close rate with leads generated by direct mail and print advertising. That’s because search engine optimization ensures that your website is written for humans—taking into account the ways people actually search online for solutions to their problems. Whether you want to earn local search traffic, build brand awareness, launch a new product, enter a new market or stand apart from competitors, SEO helps boost your online visibility. The top three search results collect 60 percent of all organic clicks. Getting a piece of search results action starts with disciplined SEO. Look at your search engine optimization from all angles. Our comprehensive review includes a technical checkup of your website, investigation of search engine results page (SERP) rankings for your organization and your competitors and an assessment of your content marketing strategy. A search engine optimization consultant will work with you to develop a search engine optimization strategy, making your organization more awesome on the Internet. Prospects engage with your site at different stages in the buying process. SEO helps them discover the most valuable information for where they are, right now. Almost 90 percent of search engine users report learning something new or important that was helpful or increased their knowledge. There’s an opportunity for your organization to get found as a thought leader and earn their trust. Share thought leadership to build domain and page authority. As a SEO tactic, content marketing can include blogging, social media marketing, on-page SEO, infographics, PowerPoint presentations or media/public relations. Create a user-friendly, responsive website that loads quickly and gets users to the answers they are seeking. Our user experience (UX) consultants will help determine site architecture, on-page content and which keywords to target. Track who’s visiting your site, what they’re looking at, how long they stick around and more. Digging into user patterns and performing on-site tests will help us optimize content for conversion. 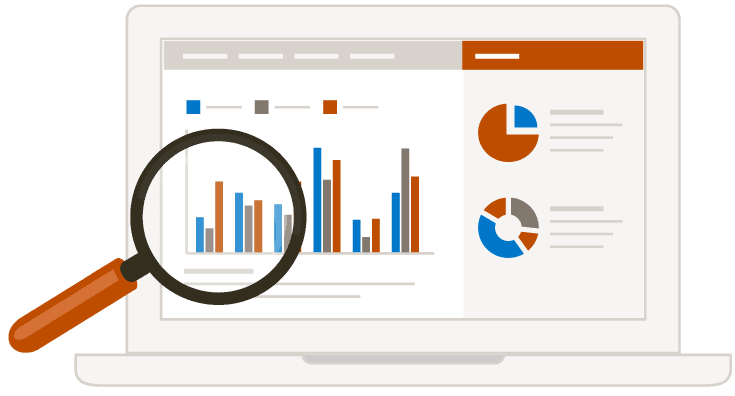 As a search engine optimization company, we can provide regular dashboards, helping you measure what’s driving qualified leads and sales so you can build on what works. When we practice SEO with your organization, the process is methodic and measured at every step. Step 1: Listen and learn. Research is the first order of business. Together we research keywords, competitors, search engine results, technical capabilities and analytics dashboards. 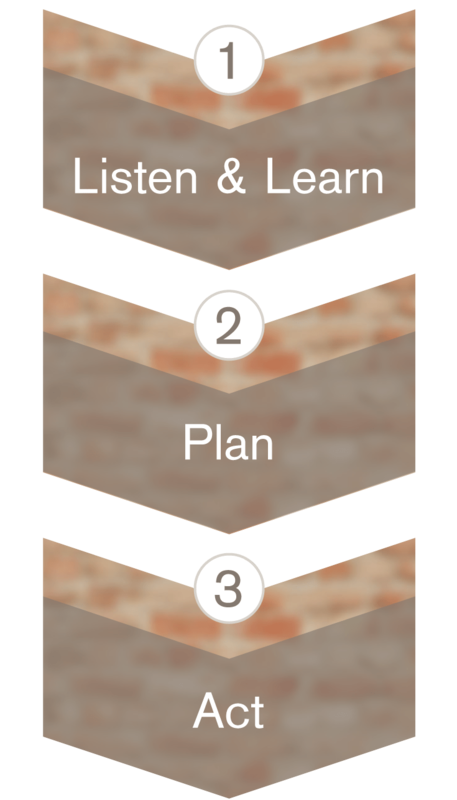 A deep understanding of online context provides the best position for strategy development. Client partners learn about the on-page and off-page factors that impact SEO. 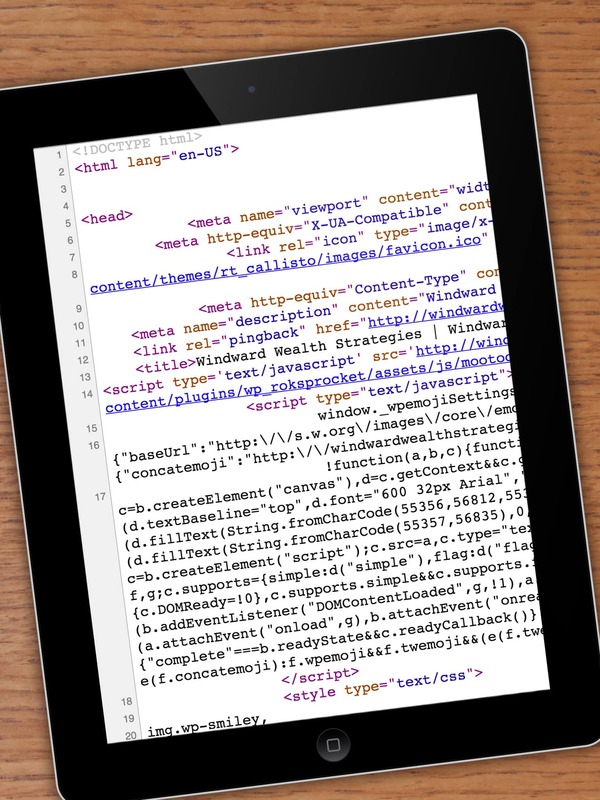 Don’t worry—you don’t need to know how to code (we have programming ninjas for that!). Blue Door Consulting gives you a solid technical foundation that any conscientious computer novice can manage. In SEO strategy development, we define what success looks like, select tactics and establish how we’re going to measure progress. Search engine optimization is a mix of Web content development and website redesign and enhancement. Based on your objectives and budget, together we’ll pull the right levers to bring your SEOmachine to life. All SEO activity is measured and reviewed against progress toward your business objectives. Low-performing activities are refined or spiked, and high-performing activities are reverse engineered for application in other areas. SEO is an organic and evolving process. Adding valuable content and regularly updating your website is expected to help you maintain—and likely climb—in search engine results rankings. Because competitors are also practicing search engine optimization, your website needs regular maintenance and enhancements (same as your physical facilities) to remain competitive. SEO best practices can transform your online home into a destination for valuable information. Be hospitable, and be rewarded with qualified leads, loyal customers and empowered internal stakeholders—all players who increase the value of your organization. If you’re looking for an SEO company who will get to know your organization, understand your goals and provide honest, objective SEO recommendations, please contact us for a complimentary, one-hour consultation. “Marketing Statistics, Trends & Data – The Ultimate List of Marketing Stats.” Marketing Statistics, Trends & Data – The Ultimate List of Marketing Stats. HubSpot, Inc., n.d. Web. 27 Oct. 2015. Purcell, Kristen, Joanna Brenner, and Lee Rainie. “Search Engine Use 2012.” Pew Research Center Internet, Science & Tech. Pew Research Center, 08 Mar. 2012. Web. 27 Oct. 2015.